I am writing a book about my mother and my aunt, two sisters who both suffered from bipolar in an era when there was even more stigma, and less effective treatment…one committed suicide and the other survives. I hope to be able to represent the familial genetic component, in an honest and realistic observation of mental illness, without contributing to the negative stigma of the disorder. Kristen lamb wrote a blog post today recommending many books to aid writer’s in learning about structure, character development, motivation, and social media. She stresses continued self-education and I can’t agree more. One book I was surprised to see in the character development list was DSM-5 (Diagnostic & Statistical Manual for Mental Disorders 5th Edition) Helpful for characters, dating, the workplace, and family reunions ;). This is a book, a Bible, if you will, for categorizing mental disorders. It was originally complied for two basic reasons: 1) To aid physicians and research scientists in their practice, and 2) For labeling purposes for insurance companies to use in strategizing reimbursements. I never really thought of how useful it would be for character development. I had to learn this book from cover to cover when it was DSM-III, and again when it was DSM-IV, so I am feeling one step ahead. It has grown by thousands of pages since it first started out as the wee DSM-I in 1952. Not because we became sicker, though that may be true, but because science fine-tuned research and the labeling process. I know psychiatrists who proudly exclaim that they could attach a DSM-5 label on any living breathing human. Just so you know, we’re all a bit unwell. I usually have volumes of research books that I use when I am writing, not so many about writing, but about the topics I research when I am writing. 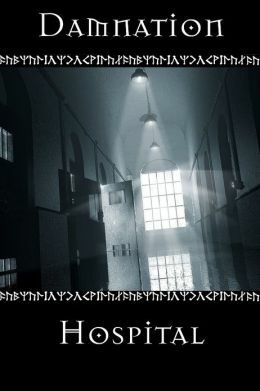 One I am reading now, “Damnation Hospital” is very interesting. It is a two book collection, “But for the Grace of God” by the late Peter G. Cranford. This is a look at the history of Milledgeville GA’s Central State Hospital that opened its doors in 1842. World’s Largest Mental Institution and one of the nation’s oldest, located in the center of my home state. Peter G. Cranford was a chief psychologist there in 1952, and along with the institution’s history, there is a diary of his daily experiences. There are many patient profiles, but little about actual treatments…which has been disappointing, as there is so little documented about the era. Also included in the Collection is a fascinating little story titled “Posey with the Insane and Sane” by Lois W. Lane (yes, that’s her real name). It is about a young black woman while she was a patient (inmate, they called them) at Milledgeville’s hospital (not sure of the time period, I have a letter out to the publisher now, trying to find out), a long time ago. As the story progresses, she gets released, and lives the rest of her life outside of the institution. I believe there will be much useful information to be gleaned from these two books. 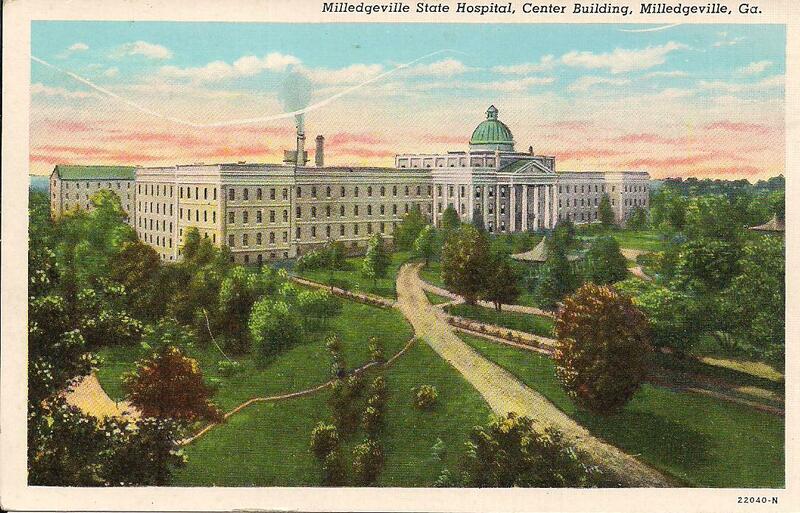 Here is a postcard image of the hospital from the 1950s: Struck me as odd to see a postcard image of a mental institution. Not exactly like visiting Niagara Falls or Yosemite. I appreciate your comments. I am going into this full aware of the challenge. As with Red Clay and Roses, I don’t tend to shy away from serious issues. I know you tackled some serious issues yourself. I have your book on my reader and plan to read it soon. This does hit close to home, but I have been stable for nearly twenty years, and my mother died when I was eight years old. At fifty three, i believe I can approach this with the sort of professional distance and maturity it will require. My greatest concern is to do so in a manner that promotes healthy outcomes rather than contributing to the negative stigma. What an awesome read! I commend Maureen. I know there will come a time when I will write my own story in the form of a memoir of some sort. It is a remarkable story, and almost unbelievable. This is good information. I’m in the mental health biz too. I don’t often read professional literature. I rarely find books about therapy very interesting or useful, so it’s good to hear something intelligent. Thank you. The DSM-V is expensive. I don’t own one. Used it throughout my career, but the facilities I worked in always had a copy. Never thought to refer to one for character development though. What do you do? Yeah, I have a IV at work. I remember when diagnosis was done without DSM. Most of my clients have run the gamut on diagnoses; they’ve had them all, individually and co-occurring. LOL…labels, I have a few. I have also seen, in my professional career, as well as my personal life, so many misdiagnoses. My mother never actually had a formal diagnosis when she died at age 26 in 1969…she overdosed on her “nerve pills”. Who knows what the doc thought she had? Sorry to hear that. However, we are in the “helping professions” and let’s hope/try to at least do no harm. I don’t believe her doctor harmed her, he just did not understand/know enough to help her. So much has been learned in the past 40 years. I couldn’t imagine! All the studying, but I’m sure you’ll do it well. Hey Professor! Are you okay? Haven’t seen you around in a while. Missed you. I haven’t been by The Hut lately…don’t get out much these days…reading and writing a lot. Oh don’t worry about it. You seem quite busy. I took off during the holidays and have been fighting the flu. But I think I’m back. Very educative and thoughtful post…. Thanks for the post. Thanks for reading. It would have never occurred to me to use the DSM-V for character development. I appreciate your comment.